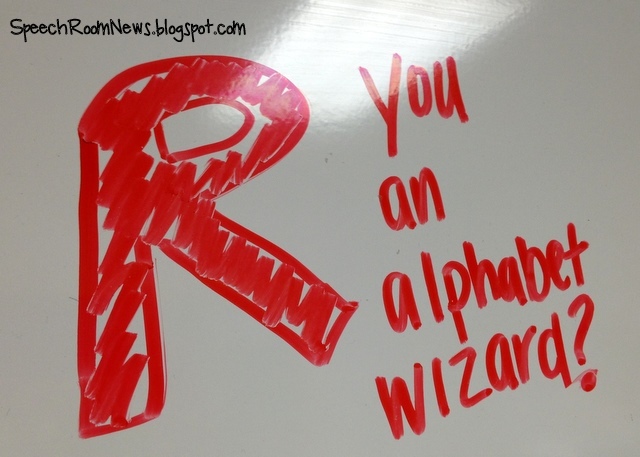 /R/ you an Alphabet Wizard? First off! The winners of the Opposite Day App, by Pocket SLP, are Anne Mott and Miss Cheryl!! Congrats ladies. 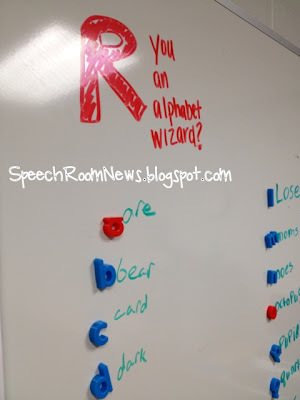 Please email SpeechRoomNews.blogspot.com to get your code! 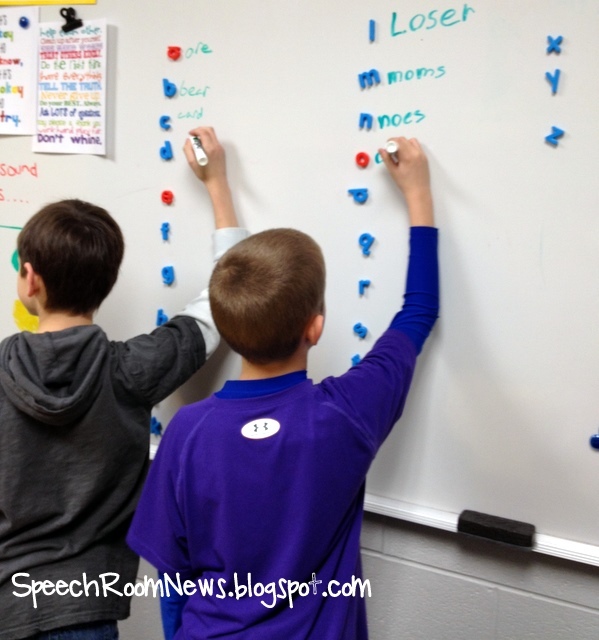 I just wanted to share a quick articulation treatment idea with you today! I have some students working on /r/ carryover and this is one quick activity we do at the beginning of our sessions. You just need a set of magnetic alphabet letters. I set up the letters on the white board and they first have to write an /r/ word that starts with the corresponding letter. We practice saying each word and then add it into a sentence, and then practice it in conversational speech. It’s a quick and easy way to get the kids up out of their seats and thinking about those sounds! « Opposite Day App Review & GIVEAWAY! Thanks so much! I was scouting for new carry-over ideas and this is perfect.